Immunizations for pets provide protection for many diseases that may inadvertently enter their body. 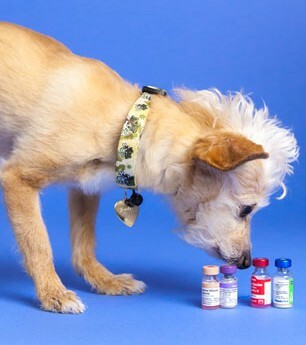 There are many things we consider when deciding how and when to vaccinate your pet. Your pets exposure to possible infections, their history, age, current health, and the area that your pet resides in are just a few of the factors that we consider. Our veterinarians and technicians will discuss all of these factors with you to ensure that your pet receives the correct vaccines for their individual needs. Prior to the vaccination of your pet, we will complete a physical examination to determine their overall health. This allows us to ensure the vaccines are as effective as possible and provide the best protection against disease, as well as determining that your pet is currently in good health to receive vaccinations. 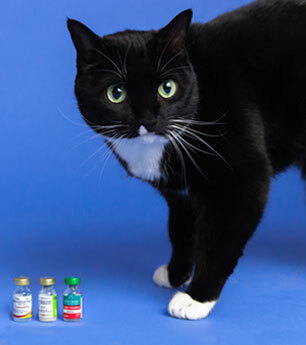 Our veterinarians use the American Animal Hospital Association (AAHA) and AAFP (Feline) Vaccination Guidelines to help assess your pets’ immunization requirements. These guidelines provide recommendations for the minimum needs of pets. We then use your individual pet’s circumstances to provide recommendations for their vaccinations.